All five Deputy Comptroller General of the Nigeria Customs Service have tendered their resignation today, October 29. The senior officers who jointly wrote a one-page letter said they were all unanimously and voluntarily resigning from the service of the Nigeria Customs Service having risen to their current position. According to Skytrend News, the officers were billed to proceed on annual leave but they opted to unanimously resign. 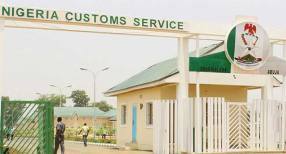 There are a total of six Deputy Comptroller-Generals in the Nigeria Customs, but a source who chose to be anonymous disclosed that the sixth one had earlier retired. The source further revealed that before now, the five Deputy Comptroller-Generals were briefly posted to Zonal Offices to work with the Assistant Comptroller-Generals. After they came back from the assignment, they were given letters to proceed on a schedule of annual leave. It will be recalled that President Muhammadu Buhari appointed Hameed Ali, a retired colonel, as the comptroller general of Nigerian Customs Service on Thursday, August 28. The appointment of Ali elicited harsh criticisms from Igbo activists who accused President Buhari of neglecting the next in line who is an Igbo to appoint a northerner who has not served in the customs before. President Buhari was dragged to court by an Enugu-based activist, Ifeanyichukwu Okonkwo who filed a suit at the Federal High Court Umuahia, Abia state challenging the appointment of Ali.